I have dreamt of running a full marathon ever since I was able to run my first half. I questioned myself if I would have the courage to even try to aim to run 42.192kms. Then God provided me a venue. 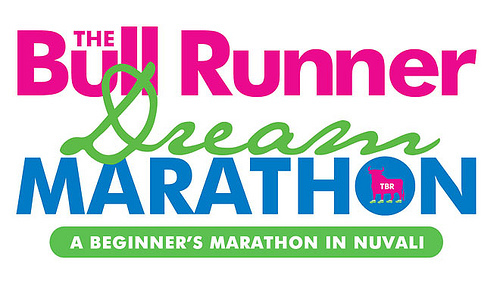 It so happened that Jaymie, the Bull Runner, was organizing a beginner’s dream marathon. After finding out the benefits she was providing her Dream marathoners, I was convinced and quickly signed up both hubby and I.
It’s less than 2 weeks to our first marathon. Am I ready? The answer to that is a huge NO. I was religiously following a training program until BAM…I was stricken with patellar tendinitis and had to take a hiatus from running. After more than a week, I was able to run again. But it wasn’t the same. Gone was my motivation. And the more I push myself out of the hole, the more I sank in. It took me another week before I got my running mojo back. And by this time, I am unsure whether I can indeed grab that impossible dream of mine to finish a full marathon. thanks suzi! i sure hope so. team CB unite! lol! Both of you shall conquer! 🙂 See you! You can reach your dream. We’ll be there too. The good thing with this race is that it doesn’t put pressure on you to finish within a 6-hr cut off time. Keep us posted and we hope you have a safe and happy 42K run. Hello co-dream marathoner! One more night sleep and another afternoon sleep and we’re there. I’m nervous as anything! Hope to see you there! 🙂 Thanks!